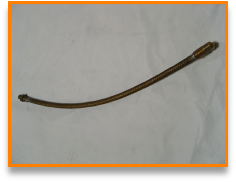 All water cooled leads are constructed for long continuous service. 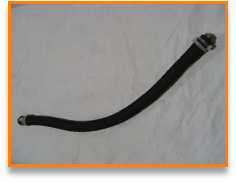 The heavy internal conductor and durable outer cover, make these leads suitable for any production area. 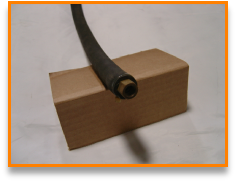 The WL38 lead is suitable for use as a conductor for smaller power supplies, that require internal flex leads. 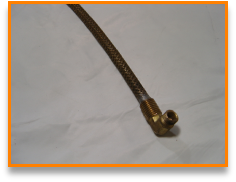 All leads are available in custom lengths, with custom connections. Suitable for use on units up to 50 Kw 10Khz. Lead comes standard with 1/4" fpt connector on each end. Suitable for Power Oscillators up to 15Kw 250 Khz. 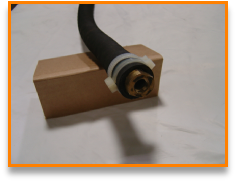 Lead comes standard with 1/8” fpt connector at each end. Suitable for casting machines and lower power induction supplies. 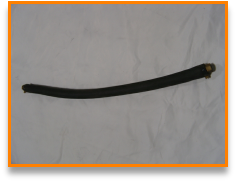 Leads are made custom to customer requirements. Custom sizes and connections available. Same day shipping for orders received by 1:00pm EST.